The action is sizzling in Freeport, the resort centre of Grand Bahama Island. The action is sizzling in Freeport, the resort centre of Grand Bahama Island. You’ll find plenty of razzle-dazzle entertainment, from a casino to music clubs to barefoot beach bars. But if you’re looking for the Bahamas’ seductive, palm-fringed beaches, gentle turquoise seas and nature at its most vivid, you’ll find that too. On Carnival cruises to Freeport, set sail for idyllic sun-baked days on white sand beaches. 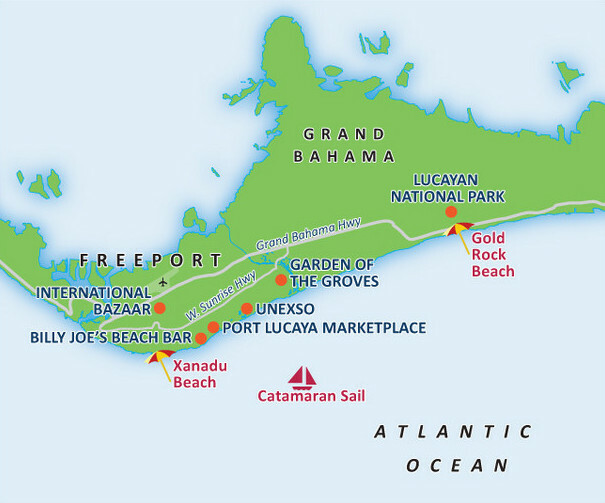 Shop for Bahamian goods in outdoor markets and duty-free goods in international boutiques. Much of the movie Pirates of the Caribbean: Black Pearl was filmed in and around Freeport. Be an island castaway for a day when your Half Moon Cay cruise anchors in Little San Salvador Island’s blue-green bay. This tiny tropical isle has one of the Bahamas’ prettiest beaches and dozens of island activities. Settle in under a coconut palm, dig your toes into the powdery sand, or simply play to your heart’s delight. 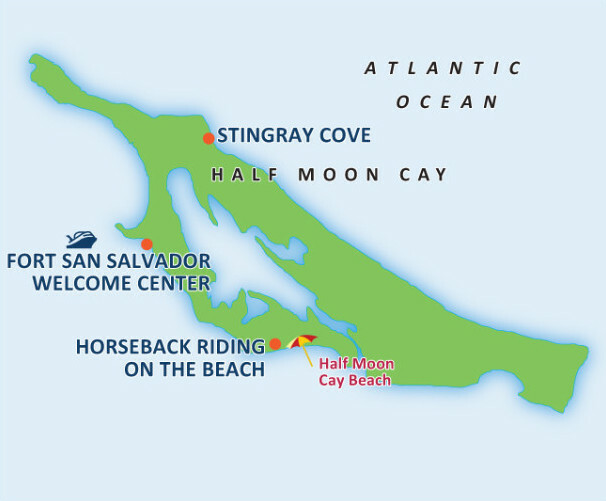 The entire 2,400 acres of Little San Salvador Island is an international bird sanctuary and nature preserve. Only 2 per cent of the island has been developed – and the other 98 per cent is pristine wilderness. Grand Turk, Turks & Caicos may be small but it’s packed with scenic punch and historic charm. It’s a sunny charmer with quaint architectural remnants of a colonial past, dotted with old windmills, grassy trails and picture-perfect beaches. You can relax beachside at the Grand Turk Cruise Center, or set out on an island exploration, snorkelling the vibrant coral reefs or strolling breezy, bougainvillea-clad Duke Street. 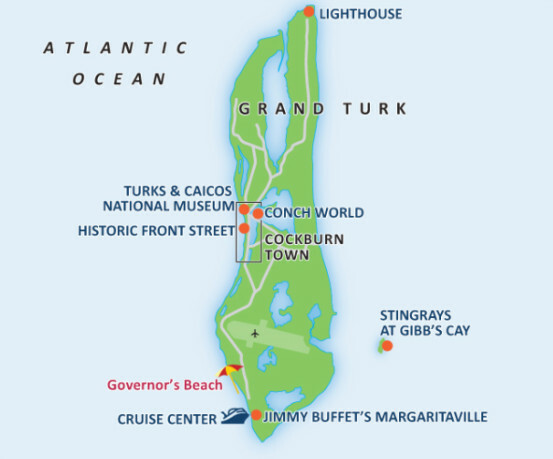 Carnival cruises to Grand Turk deliver you to an enchanted island outpost. The Turks & Caicos National Museum showcases the island’s stellar ‘Message in a Bottle’ collection of bottles washed up on these shores during the last 40 years. 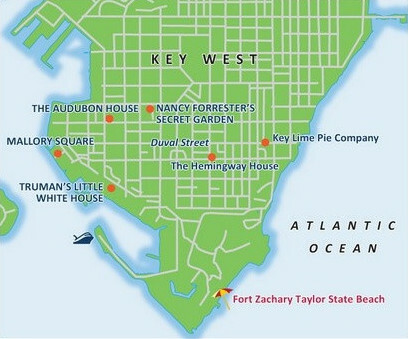 The southernmost island of the Florida Keys, Key West is a sunny, fun-loving place with lots of history, plenty of charm, and more than a little touristy goofiness. Stroll through Old Town, home to gingerbread houses wrapped in picket fences.Take in the palm-shaded streets lined with gaily painted bungalows, vintage saloons, and blooming tropical flowers. Take to the sparkling seas on a fishing, diving, or snorkelling cruise, or park yourself on a beat-up barstool in an old-time saloon. In no time, you’ll see why artists and writers have flocked here for generations. In 1985, treasure hunters plucked more than $450 million in gold and artifacts from the Nuestra Señora de Atocha that sailed in 1622. Blessed with balmy breezes and jumping to a bouncy calypso beat, Carnival cruises to Nassau promise sizzling fun in the sun. The historic and cultural heart of The Bahamas, Nassau is one of the world’s most popular cruise ship ports – one million travellers board cruises to Nassau annually. Carnival cruisers come for fine beaches, shopping, water sports and the fun-filled attractions at the Atlantis Resort, connected to Nassau by a bridge to Paradise Island. Get into a carnival mood by doing do as the locals do – sway to the lilting rhythms of steel-pan bands, savour fresh conch in Arawak Cay, and sip cold Kalik beer to beat the heat. The charms of this tropical isle revolve around sun, sea, and sand. 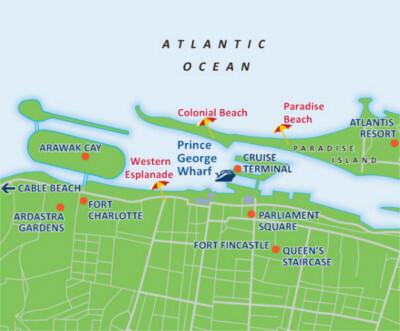 So don’t miss a dip in the turquoise Atlantic or lazing on the curving crescent of Cable Beach. 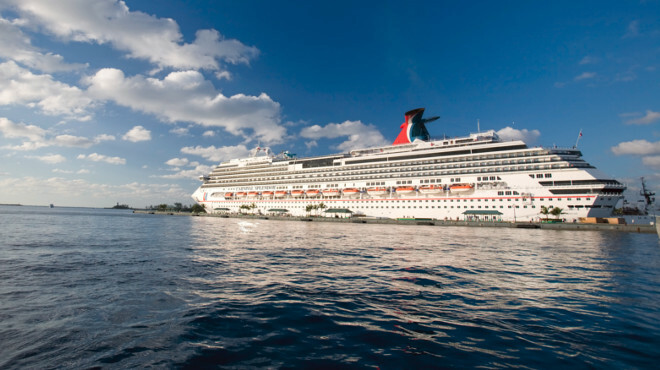 Buckle up for big adventure on the Space Coast when you book a Carnival cruise from Port Canaveral, Florida. Rockets blast off from the kennedy Space Centre, stock cars hug the turns at Daytona International Speedway, and screaming roller coasters zoom through Orlando. Despite all these manmade thrills, your cruise from Port Canaveral departs from a coastline of sugary sand beaches and protected islands for native wildlife.